Our volunteers would like to make a visit and give a gift to the needy families living in Clarkston. 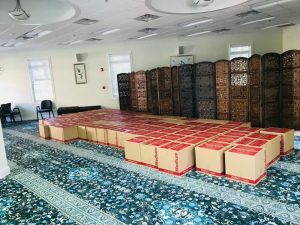 Before just Ramadan started, they visited the families and delivered #108 of food packages to the families living there. We’re so thankful to be able make it with your help. May Allah be pleased with all who supported us for this meaningful project. InshAllah we can have more visits and help to those who need. 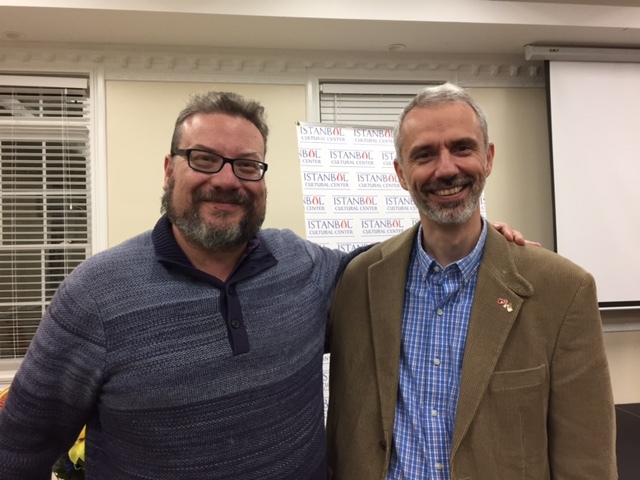 On the evening of October 18th, SEICC had an Interfaith program with Kemal Korucu and Rabbi Michael Brenstein about hijra, exodus and migration. What made so special and meaningful about this gathering? This year the first day of New Year was the same day for the Muslim and Jewish communities based on the calendars that they use. And also the tenth day of the New Year is both commemorated as a sanctual day in both religions. The topic of our program,hijra and migration, is both religions’ common destiny too. The program started with a conversation between Mr. Korucu and Mr. Brenstein about the meanings and suffers of migration. At the end of the conversation, there was a Q&A section. Guests, from diffrent backgrounds and faith, asked questions and shared their experiences about leaving their home land. In the beginning, Mr. Korucu and Mr. Brenstein talked about this event’s main purpose and tried to explain how migration has affected the calendar. Jewishs’ first day of the year is called Rosh Hashanah. This day is important for them because they believed that God started to create the universe, Adam and Eve. Also the tenth day of this new year has a big meaning for them which is called Yom Kippur, day of atonement. Furthermore Muslims’ new year started with the Prophet Mohammad’s (peace be upon him) hijra from Macca to Madinah. And the tenth day of Moharram is spiritual for Muslims becuase of different prophets like Noah, Adam, Moses,Jesus (peace be upon them) passed their most important exam on that day. Muslims called this day Ashura and prepared a special treat to celebrate it. But of course the event did not only focus on this specific days’ symbolic meanings.It is actually about the common sufferings of people who were forced to leave their lands and try to survive under difficult conditions. Because of religious or political reasons people had to face with migration in the past history. And today unfortunately this suffering still continues. Geography or nation can change, but the destiny cannot. We can see same fears and tears all around the world in different types and times. Rabbi Brenstein told the guests that this migration experience affects all Jews’ lifestyle. He gave some following examples even from today how the migration left some footprints. Jews still continue to hold a suitcase in their home for a traditional meaning, use special signs on their door to show that this place is their house, and also five days later from Yom Kippur they live in simple shelters which is named sukkah and is built outside of their house to help understand how people were forced to leave their house and live in uncomfortable conditions. Does the migration affect the Muslims lives as Jews? Mr. Korucu talked about the story of Etiopia and Madinah hijras in Prophet Mohammad’s time. And also he shared the journey of Prophet Abraham as well. Because Prophet Abraham also had to leave his wife Hajar and his son Ismail, who is also grand grand parent of Prophet Mohammad (pbuh), to Macca when there was nowhere to live in, no food and water. The only reason why he did this was to obey God’s desire. Later on this place turned a place for the people started to live. Then Islam was born. 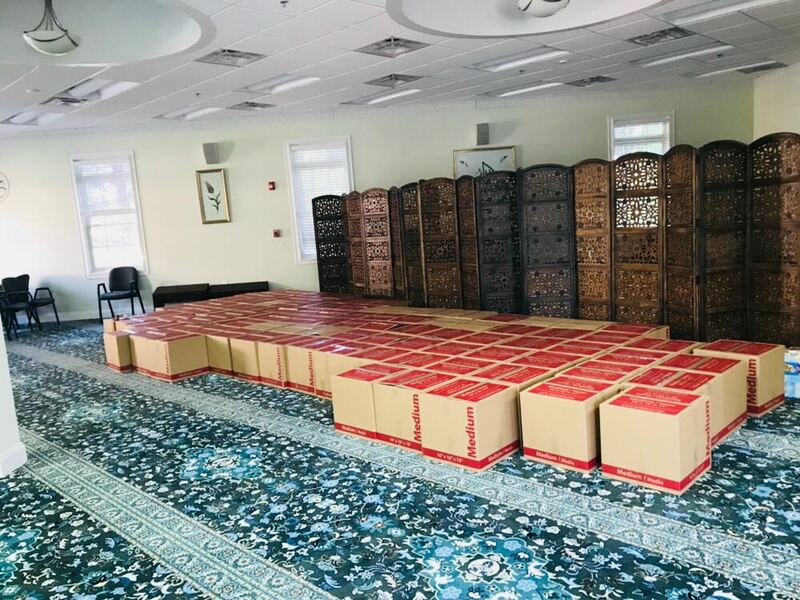 He also explained that if a person migrated for the sake of Allah, that person’s all past sins will be forgiven based on the person’s sincere intention as stated in hadiths.